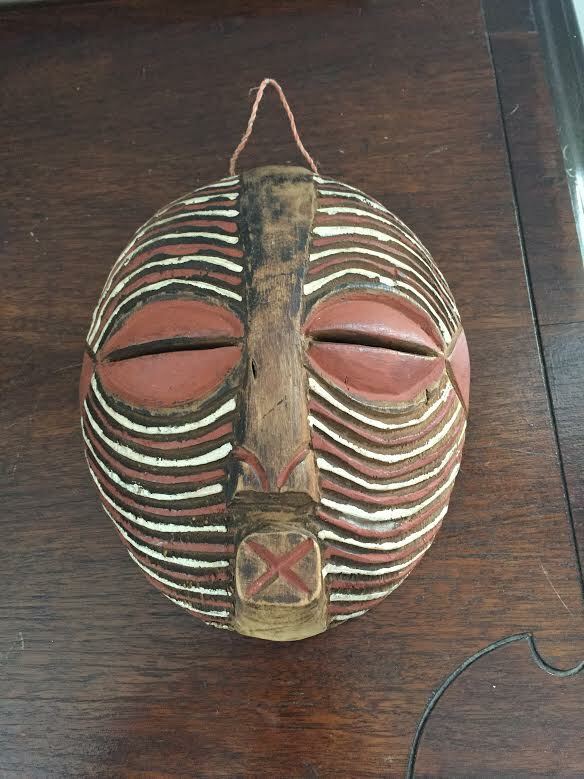 This amazing Luba Shankadi mask will be in a live auction, at the African Soiree to benefit United Front Against Riverblindness. It starts at 5 p.m. on Saturday, March 21 at the Princeton Seminary and includes a buffet of African and international foods, entertainment, and an update from UFAR founder Daniel Shungu. Anyone may buy items at the African marketplace, from 4:30 on, but you need to be at the dinner to participate in the Kuba art auction. Go to the United Front Against Riverblindness website for $70 tickets. 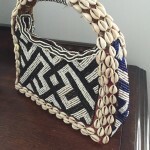 Other yummy items — this cowry-shell and beaded purse, a whimsica l double-entendre since cowry shells were a form of money. 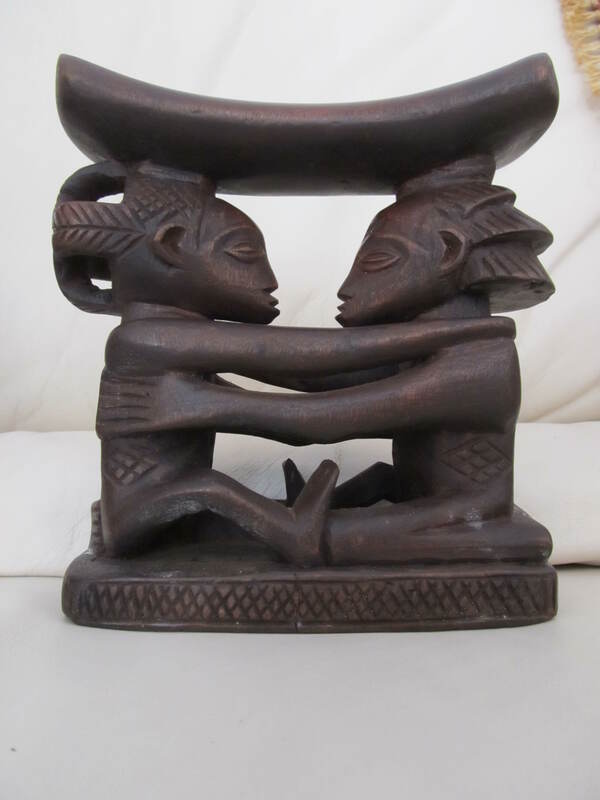 Traditional Congolese “Kuba” art was affected by influences from abroad that arrived during the era of colonization, but the individuality and variety of tribal customs has been preserved. 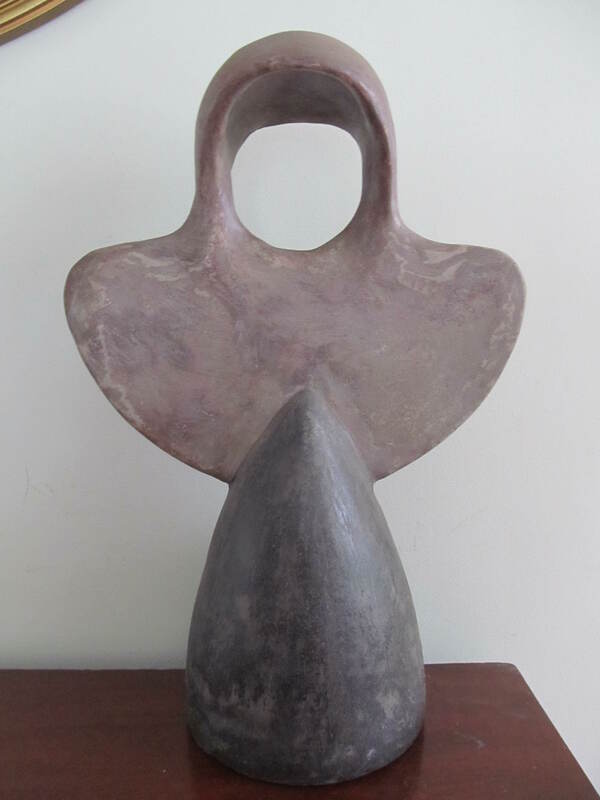 Below left, a modern sculpture. Below right, a museum quality headstand. And the textiles– my photos don’t do them justice so here is a link to a gallery. Starting prices for the auction range from $100 to $500. If you can’t get there Saturday but want to bid… hmmm, shall I bid for you?